A key objective of the newly established Chair for the Ancient History of the Near and Middle East is the promotion of the digital humanities and easily accessible open-access data in order to widely disseminate, facilitate, and promote the active use and understanding of official inscriptions and archival texts of the Middle East in Antiquity, with an initial focus on those of ancient Mesopotamia (written in the cuneiform script and in the Akkadian and Sumerian languages), in academia and beyond. 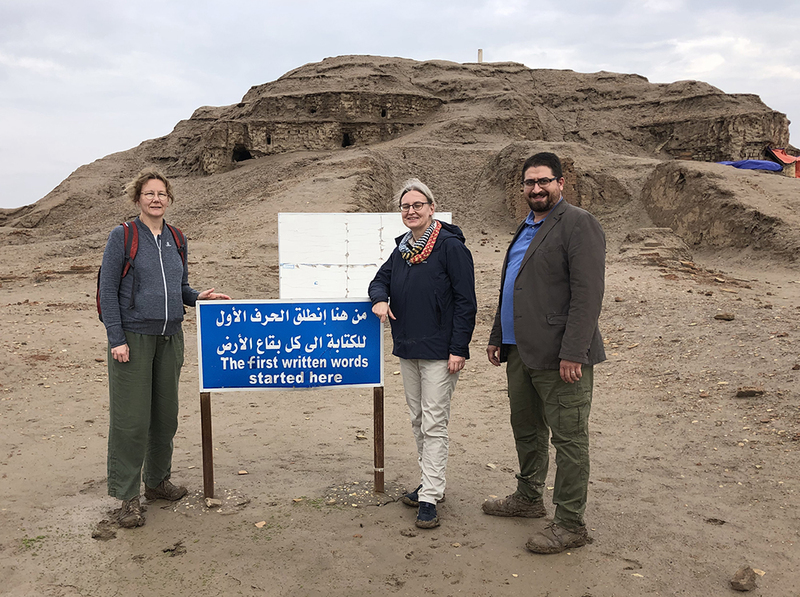 Headed by Prof. Dr. Karen Radner and Dr. Jamie Novotny, the MOCCI research staff seeks to create new and innovative ways for users to access the important and varied contents of numerous geo-referenced and linguistically-annotated editions of ancient records, primarily from the first millennium BC. Our aim is to make many of the rich primary sources of Assyria, Babylonia, and their contemporaries available online for free in a fully searchable and richly annotated (lemmatized) format. A presentation of the project by Prof. Dr. Karen Radner and Dr. Jamie Novotny is given in "Official Inscriptions of the Middle East in Antiquity: Online Text Corpora and Map Interface" in De Santis, Annamaria & Rossi, Irene (eds.) 2018, Crossing Experiences in Digital Epigraphy. From Practice to Discipline (Warsaw: De Gruyter Open), pp. 141-154. (2) Archival Texts of the Middle East in Antiquity (ATMEA). (e) Achaemenid Royal Inscriptions online (ARIo). (a) RIAo will include updated and annotated editions of every known Assyrian inscription from the end of the third millennium BC to the end of the Empire in the late 7th century BC, as well as many detailed informational pages which are intended to provide historical and cultural context for these important ancient sources. The initial goal is the retro-digitization of the 866 inscriptions published in three volumes by A. Kirk Grayson for the now-defunct, Toronto-based Royal Inscriptions of Mesopotamia (RIM) Project. Initially, we will lemmatize the names of people, places, and gods, as well as the corpus of early Neo-Assyrian inscriptions (934-745 BC), starting with Ashurnasirpal II (883-859 BC), one of Assyria’s most famous rulers. For the material post-745, we cooperate with the University of Pennsylvania-based Royal Inscriptions of the Neo-Assyrian Period (RINAP) Project (directed by Professor Grant Frame), for which Jamie Novotny is currently preparing new, online editions of the royal inscriptions of Assyria’s last great king Ashurbanipal and his lesser-known successors (668-612 BC). (b) RIBo intends to present up-to-date editions of all of the known Akkadian and Sumerian royal inscriptions of the rulers of Babylonia from 1157 BC to 64 BC, as well as useful and interesting informational pages and detailed bibliographies. Some of ca. 450 texts included in this long-term online project are based on the publications of Grant Frame, Rocío Da Riva, and Hanspeter Schaudig, while some of the annotated editions (especially the inscriptions of the famous Nebuchadnezzar II) will be prepared by project staff from unpublished material kindly contributed by our research partners Professor Frame (University of Pennsylvania) and Professor Da Riva (University of Barcelona). 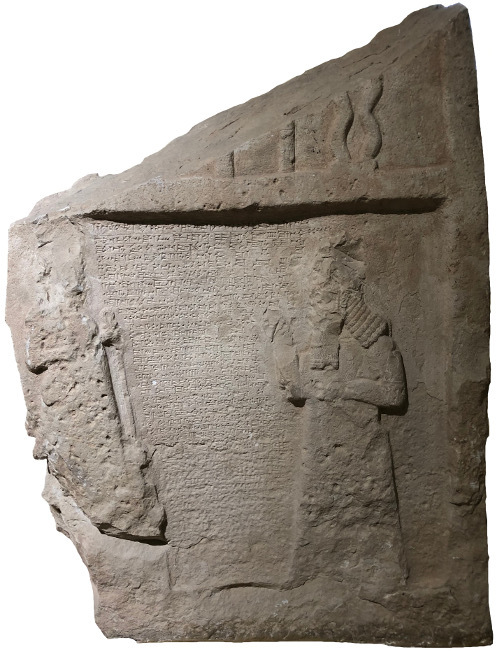 In the near future, RIBo may also include many important official inscriptions from the third and second millennia BC, including those of the kings of Agade, the First Dynasty of Babylon, and the Kassite Period. (c) The Inscriptions of Suhu online contains lemmatized transliterations and searchable English translations of the known official inscriptions of first-millennium-BC rulers of the small, but powerful, Middle-Euphrates kingdom of Suhu, as well as resources and materials for their study. (d) The Electronic Corpus of Urartian Texts (eCUT) Project aims to make the corpus of written sources from the kingdom of Urartu available to scholars and the broader public alike. In addition to the editions of the texts, the portal pages of the eCUT project provide basic information on the history and culture of the kingdom of Urartu, which in the first millennium was an important adversary of the Neo-Assyrian Empire and extended out across the Armenian highlands from its East Anatolian capital Ṭušpa (now Van). The editions are based on Mirjo Salvini’s Corpus dei testi urartei (CTU I-V, 2008-2018), who kindly provided us with the electronic files of his CTU volumes and acted as advisor to the project. For eCUT, Salvini's editions were adapted, revised, annotated (lemmatized) and translated into English by PD Dr. Birgit Christiansen. (e) Achaemenid Royal Inscriptions online (ARIo) will contain the complete corpus of Old Persian inscriptions. The contents are based primarily on Rüdiger Schmitt’s Die altpersischen Inschriften der Achaimeniden and data provided by Dr. Matt Stolper (from his now-defunct Achaemenid Royal Inscriptions project). ARIo is managed by Dr. Henry Heitmann-Gordon. (2) The Archival Texts of the Middle East in Antiquity (ATMEA) Project will initially be an expanded and updated version of The State Archives of Assyria online (SAAo) Project, which was initiated in 2007 by Karen Radner at University College London. Dr. Mikko Luukko is currently lemmatizing letters (including correspondence between the Assyrian kings and their inner circle of scholars), treaties, loyalty oaths (including the important and now-famous Esarhaddon Succession Treaty), and astrological reports, thereby making proper noun and Akkadian language data more accessible. ATMEA will soon expand the Nineveh-focused SAAo corpus by adding annotated editions of archival texts discovered at the principal Assyrian cities Assur and Kalhu (Calah), as well as at smaller provincial sites such as Burmarina, Dur-Katlimmu, Ma’allanate, Til-Barsip, and Tušhan. In the longer term, we also plan to incorporate various corpora of Neo-Babylonian texts into ATMEA; we are currently exploring possibilities with potential research partners to help us make this material accessible. We intend to bring the OIMEA and ATMEA Projects together so that users can search annotated and geo-referenced data in both text corpora simultaneously. As part of our planned Ancient Records of Middle Eastern Polities (ARMEP) interface, we are currently developing an interactive map together with the IT-Gruppe Geisteswissenschaften that will not only display places where ancient texts were discovered and cities mentioned in ancient sources whose precise locations are known with a reasonable degree of certainty, but also allow users access to annotated text editions directly from the map. The interface will be designed to allow users the ability to search for texts and/or places mentioned in texts by find spot, object type, material support, language/script, time period (century, reign of a king, specific date, etc. ), museum collection, museum number, excavation number, and/or text genre. We publish The Bulletin of the Munich Open-access Cuneiform Corpus Initiative (BMOCCI), an occasional open-access publication that is intended to correct, supplement, and update information published by the Neo-Assyrian Text Corpus (NATC) Project (directed by Simo Parpola; University of Helsinki), the Royal Inscriptions of Mesopotamia (RIM) Project (directed by A. Kirk Grayson; University of Toronto), and the Royal Inscriptions of the Neo-Assyrian Period (RINAP) Project (directed by Grant Frame; University of Pennsylvania). Contributions to the Bulletin are primarily intended to highlight both important and minor differences between our freely accessible and annotated online version of a text hosted on the Open Richly Annotated Cuneiform Corpus (Oracc) Project and its original publication. The notes, the corrigenda and addenda, corrected reprints of published pages, and original studies published here will serve as platform for our team members to disseminate relevant information about a variety of ancient records. But we also welcome suitable contributions from others working with this data. Please contact Dr. Jamie Novotny (jamie.novotny@lrz.uni-muenchen.de).